H. Brann Altmeyer is a member of the firm and focuses his practice on commercial law, bankruptcy, civil litigation and probate law. 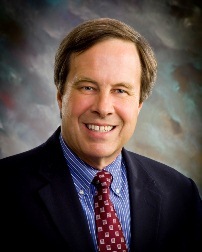 Mr. Altmeyer received his Bachelor of Arts Degree from West Virginia University in 1979. He earned his law degree from the University of Pittsburgh in 1983. While at Pittsburgh, Mr. Altmeyer was a member of the Order of the Barristers and was a member of the National Moot Court Team. Mr. Altmeyer is admitted to practice in the States of West Virginia and Ohio. He is also admitted before the United States District Court for the Northern and Southern Districts of West Virginia, the United States Court of Appeals for the Fourth Circuit and the United States Supreme Court. He is a member of the West Virginia State Bar, the Ohio State Bar, the Ohio County Bar Association, the American Bar Association, and the Fourth Circuit Judicial Conference.